In this era, more and more mobile device users are concerned about the privacy issue, especially iOS device, like iPhone users. Sometimes we take photos just for fun but the photos may be something about our privacy. However, with some powerful recovery software, even preciously deleted photos can be recovered easily. This is the reason why many of us are curious about how can I erase photos from my iPhone. Go to the Photo app and hit Photo at the bottom left corner of the screen. 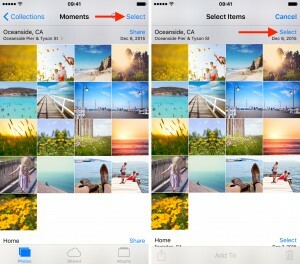 All the photos on your iPhone will be displayed there by Years > Collections > Moments. Go to Moments. Tap Select button at the top right corner. Then select the photos you don’t want any more and hit the Trash button at the bottom right corner. After that, go to Albums at the bottom right corner. Go to “Recently Deleted” file. Hit Select at the top right corner and tap Select All at the top left corner. Then click the Trash icon at the bottom right corner. Even though the last step in the above part makes sure that you have no chance to recovere the deleted photos on your iPhone, it is still not 100% safe to erase iPhone photos from the device itself. There is still possibility to recover the deleted photos with some recovery tools because the deleted photos are just invisible instead of overwritten. Here, iMyFone iPhone Eraser or iMyFone iPhone Eraser Mac can help you overwrite the photos, which makes sure the photos erased by it 100% safe. Apart from erasing the current photos on the iPhone right now, it will also find out and permanently erase the preciously deleted photos. 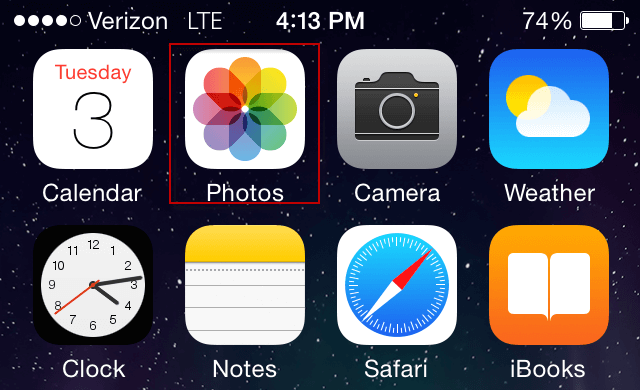 Here are the steps for how to erase iPhone photos completely. Step 1: With iMyFone iPhone Eraser installing on your computer, link your iPhone to it. 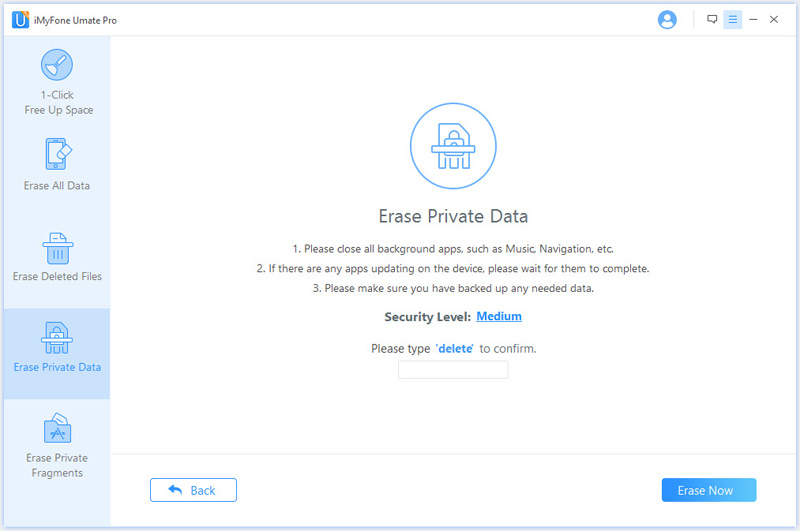 Step 2: Go to Erase Private Data mode, hit Scan button. When it finishes, it will show details about the current private data on your iPhone. Step 3: Check Photo, you can preview the photos first and select unwanted photos. Hit Erase Now. Then type “delete” into the box to confirm. iMyFone iPhone Eraser is regarded as the world No. 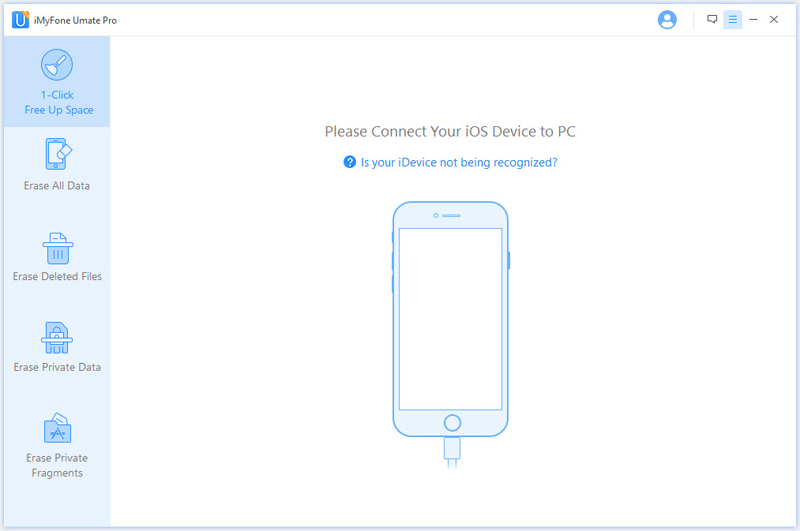 1 iOS device eraser, especially iPhone. It provides you with all-in-one solution for iOS space saving and privacy protection. 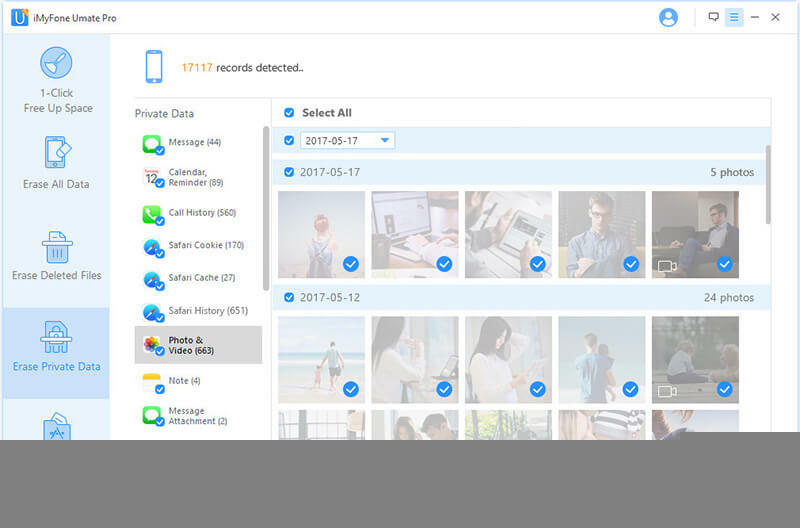 Apart from erasing existing or deleted photos, you can also choose to back up first and then losslessly compress the current photos but save 75% photo storage. It can also erase other iOS files, such as contacts, mail, reminders, facetime, notes, messages, Safari history, etc. Permanently erase everything on iPhone and make it as a new one. All kinds of iOS files are supported to be erased. 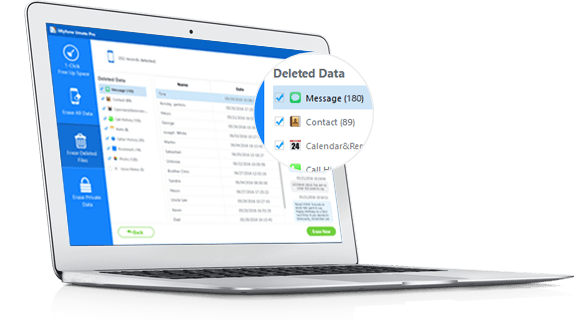 Find out and completely erase the preciously deleted data and files. Scan the current private data on your iPhone and choose ones to totally erase.